This helmet has been painted smooth apple green. The 2nd pattern SS decal is correct for this NS marked shell. 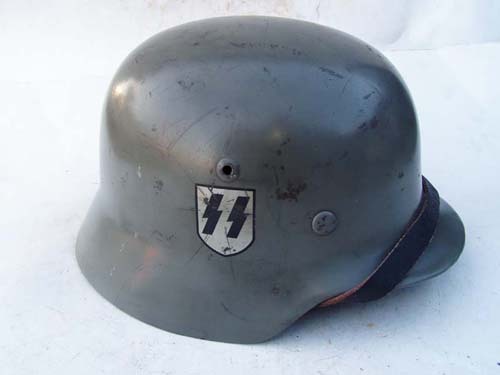 Helmet shows moderate battle wear. 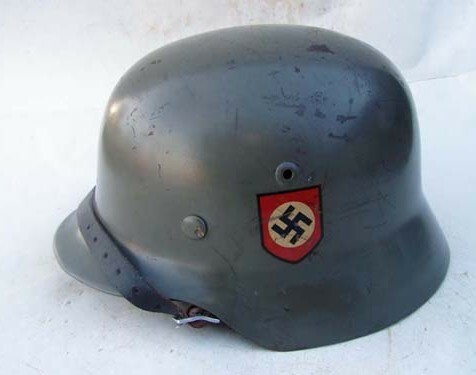 Helmets like this were worn by SS units in the pre-war and early years of WWII.